Nathan graduated from Queensland University of Technology with honours. He is a North Queensland local and grew up in Charters Towers. His passion for helping people in addition to suffering a range of lower limb injures himself spurred him to become a Podiatrist. 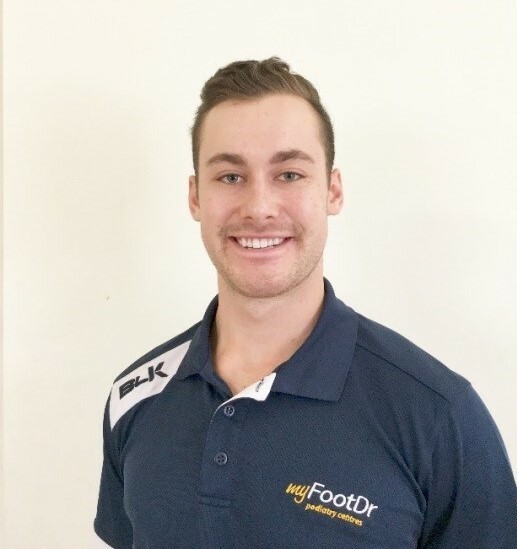 Before joining the my FootDr team he worked at a sports medicine centre specialising in running shoes and gait analysis. Nathan enjoys practicing all aspects of podiatry from biomechanics and musculoskeletal injuries, diabetics, general skin and nail complications and nail surgeries. He has a special interest in dry needling. In his spare time he enjoys many different sports, training for CrossFit competitions and exploring the outdoors.